When I discovered Mayfield, I knew I found a place in which I could coach and coax the best out of students. 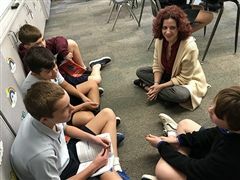 Where I would help students find their best selves and assist them on their journey of self-discovery— which is the essence of a Holy Child education. 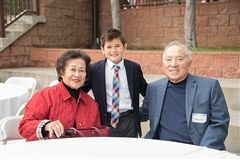 Grandparents’ and Special Friends’ Day is always extraordinary. Hands held, hearts bursting with pride – joyful sharing at mass, activities in the classroom, lovely food– a beautiful day together. 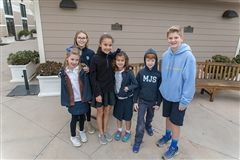 With the goals of working together to help others, listening to each other and sharing good times, School Families thrive; building friendships across age groups and developing the idea of community from the tallest to the smallest.